This has to be the longest thread I've ever seen, on any forum, anywhere. 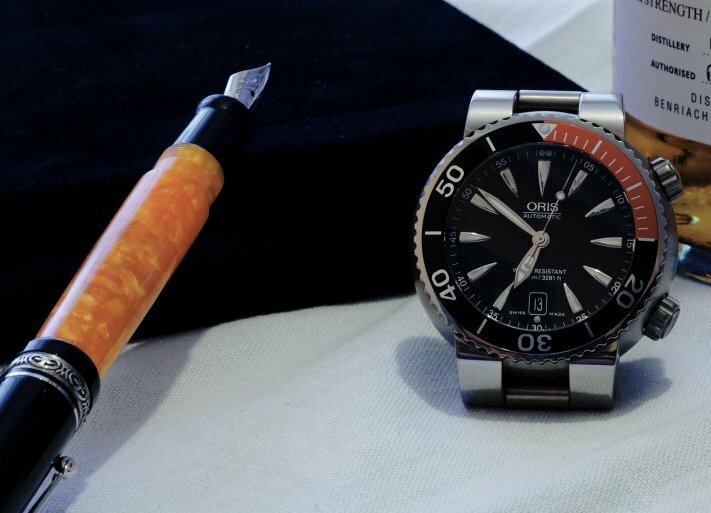 Absolutely stunning photos of great watches and pens; kept clicking and thinking I'd never get to the end. I could look at these shots all day! Nice Ball! Here's one of mine. 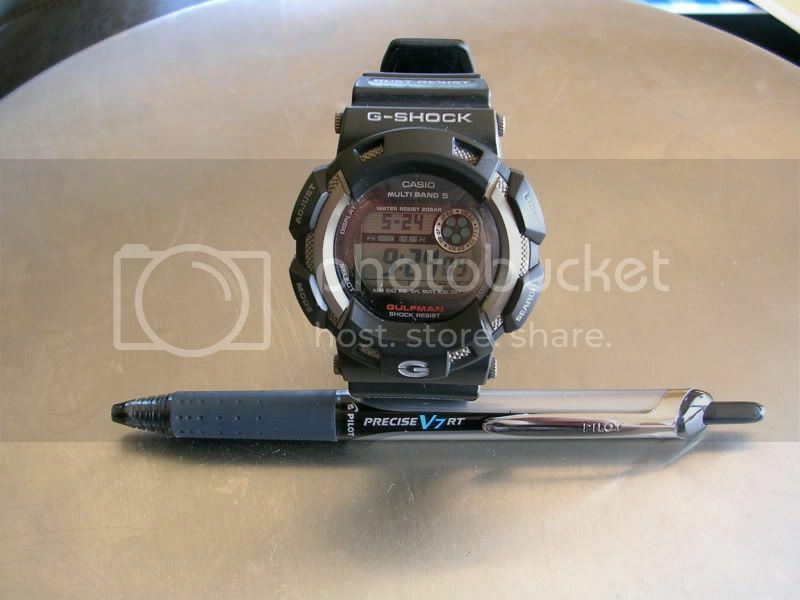 Thanks, the pen looks superb, as does your photography. 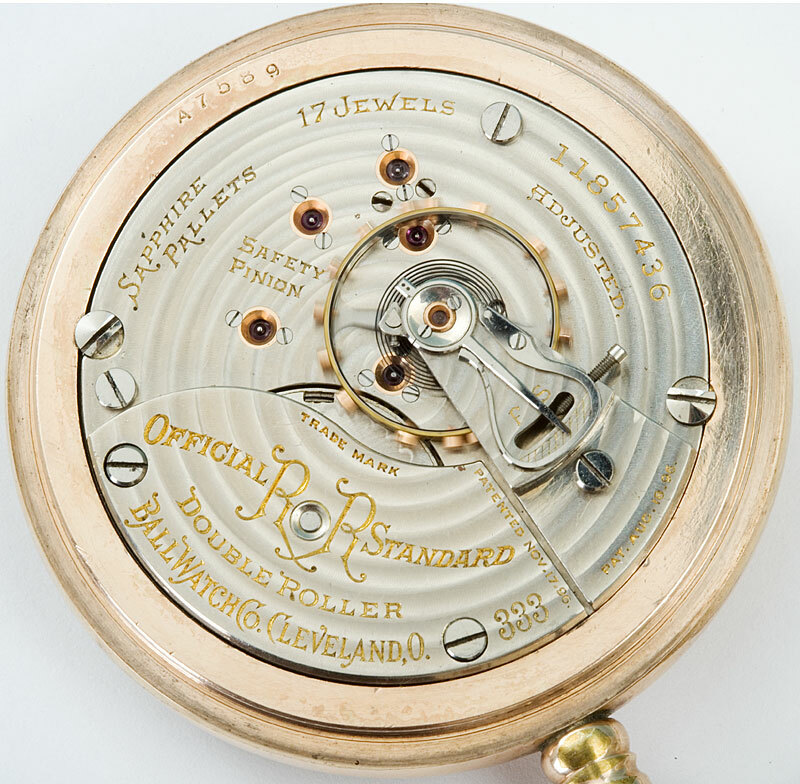 There are fewer things more beautiful in the world of mechanics than the movements of pocket watches. A beautiful example, Lak611. I'm too lazy to look up the serial-number charts - how old is that Ball? Nice Ball pocket watch too! I love old pocket watches and that Ball lever-set you have is sweeeeeeet! 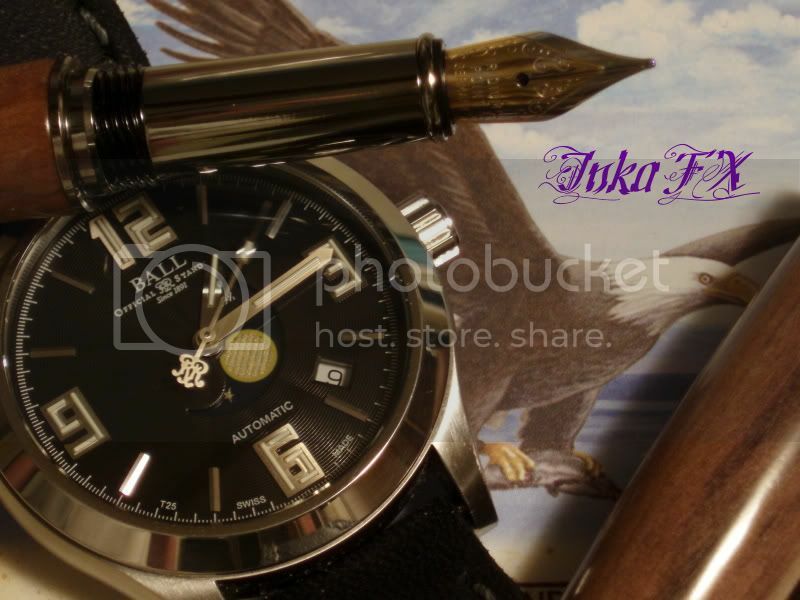 “I view my fountain pens & inks as an artist might view their brushes and paints. They flow across paper as a brush to canvas, transforming my thoughts into words and my words into art. It is 105 years old. From 1904, first run of grade 333; only produced for 2 years. 1436 of 4000 in grade. I wish I could take pictures like some of the people on here. These are my first two attempts. 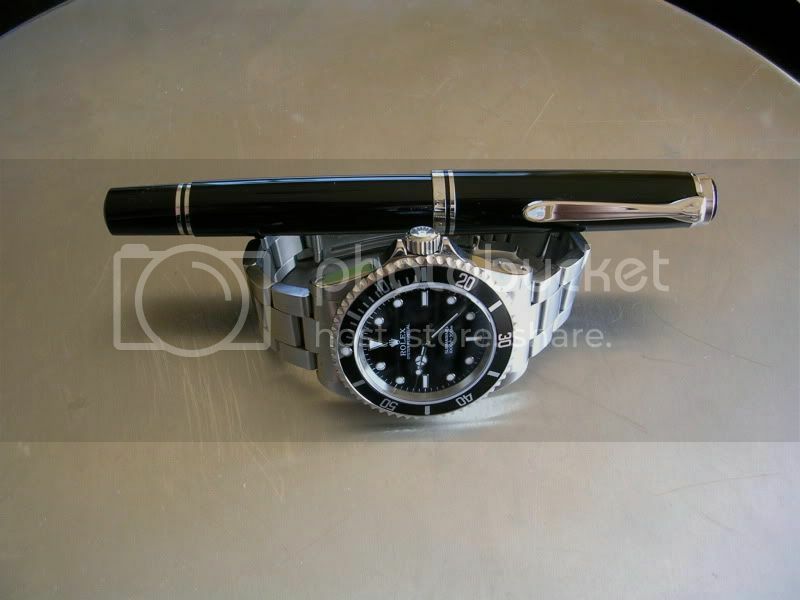 Here's a very poor picture of my Rolex Datejust and my Mont blanc 145! Something I shot a while back. 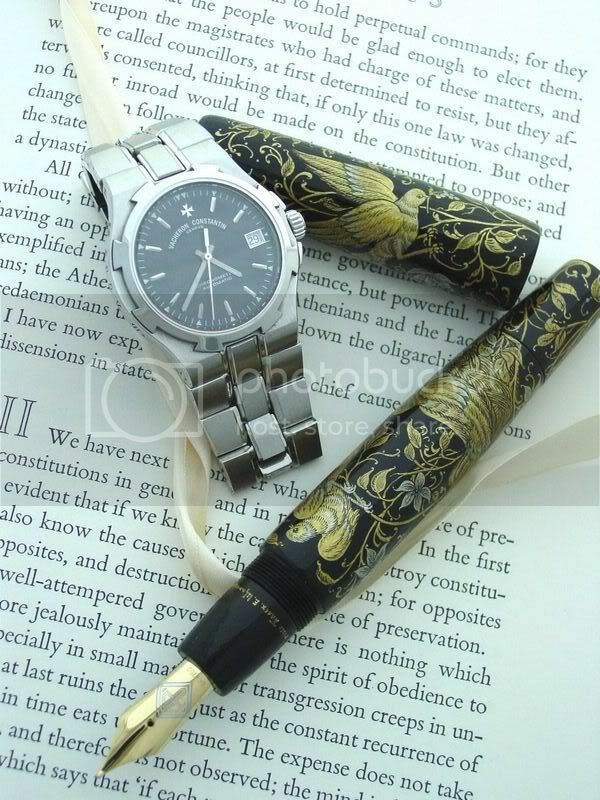 An Invicta and Pilot striped pen. My lovely 1959 Connie Pie-Pan, which is my daily user, and my 1992 Duofold Godron. Vintage and (fairly) modern goes well together, right? Although I don't use the Duofold much as I hesitate to bring it around. I like your Barlow, Peter. Years ago I had one quite similar, but not as pretty as the ivory/cream color of yours. The whistle is a replica metropolitan police whistle. 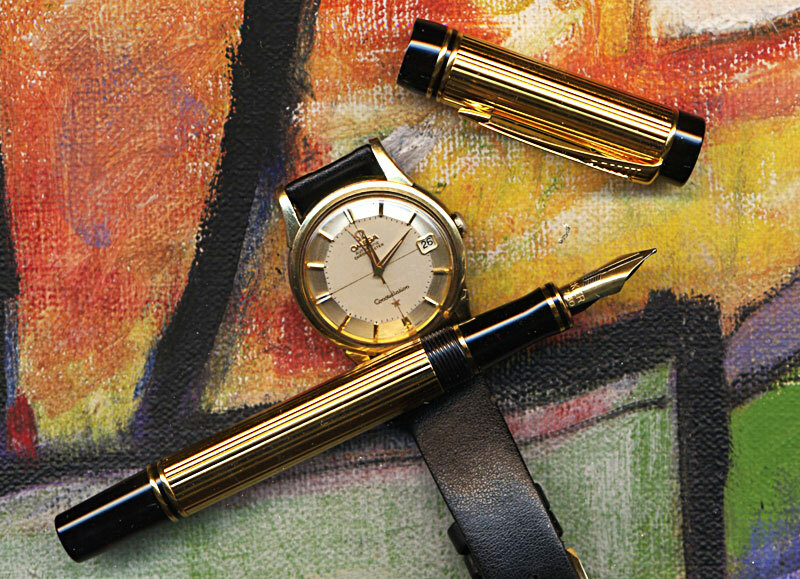 The pen is a 1920s Wahl-Eversharp art deco lever-filler. Gold-filled barrel & cap. 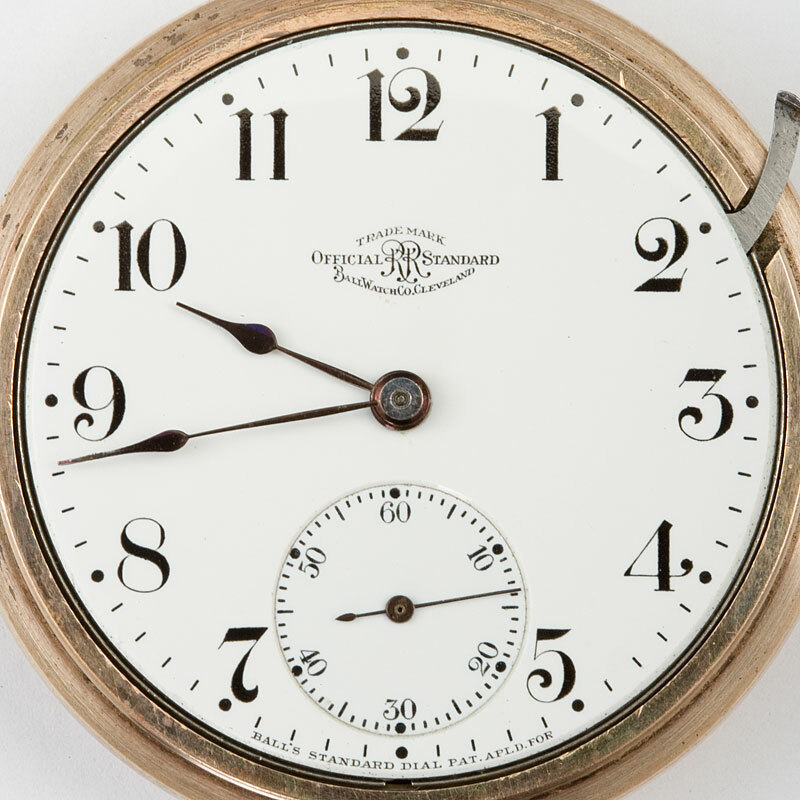 The watch is a Waltham M1908 made in 1926. 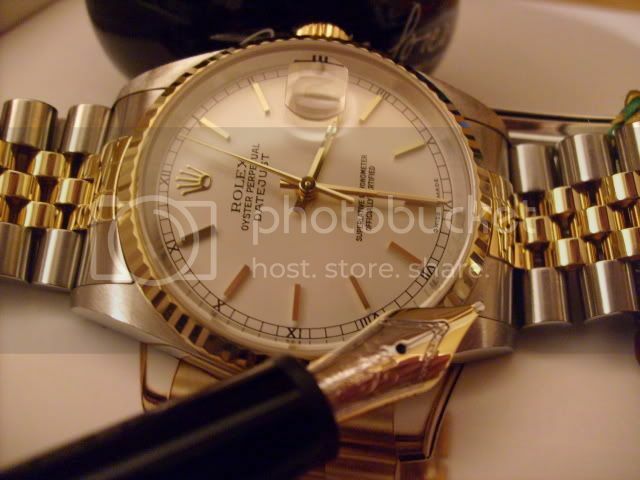 Beautiful items, especially the watch is stunning. The watch isn't currently working. It's too gummed up. 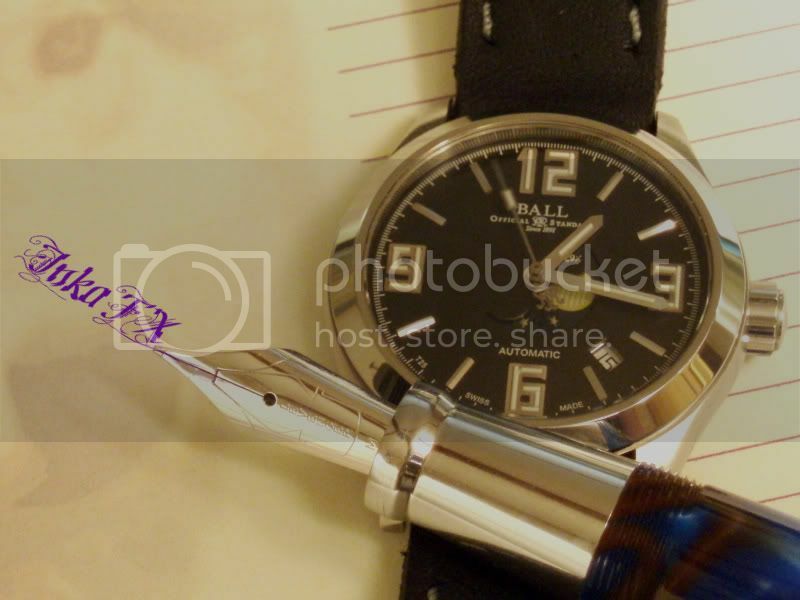 I'm gonna send it to my watchmaker to sort out. I got half way through the thread and got inspired ... so two "quick and dirty" photos of my polar opposites. 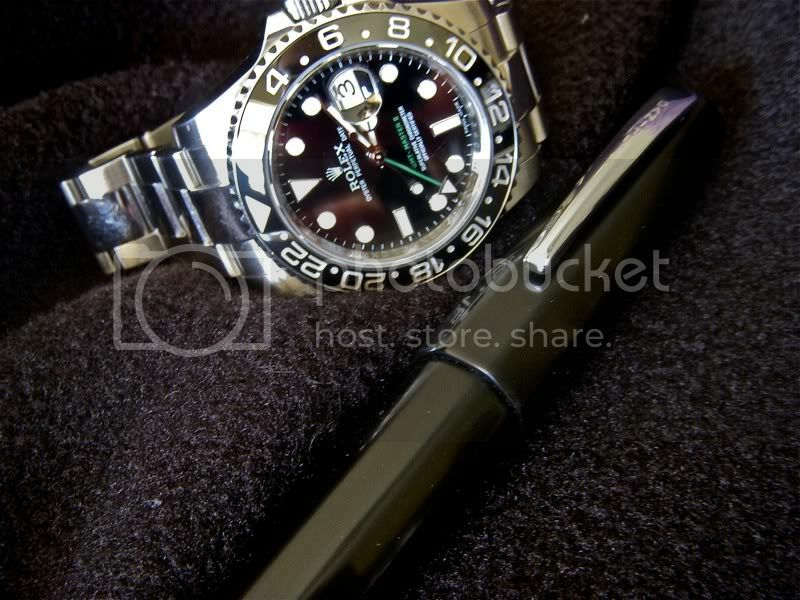 As far as I can remember this is the most beautiful pen I have ever seen in my life!